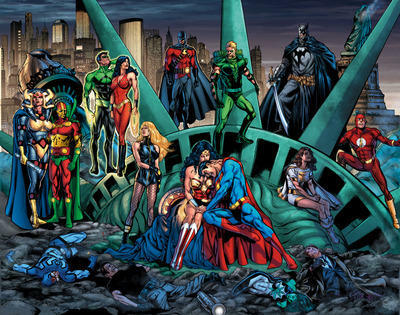 The comic world is still flailing helplessly over the news that the entire DC Universe is going to be rebooted and upgraded. "We looked at what was going on in the marketplace and felt we really want to inject new life in our characters and line. This was a chance to start, not at the beginning, but at a point where our characters are younger and the stories are being told for today's audience." People are saying all sorts of responses, from the really good and excited to the psychotically angry. Personally, I am torn about this, so I'm going to look at this from all angles and see the Pros and Cons of this little endeavor. appealing to the younger crowd. - Great way for new readers to jump into the DCU. Definitely simpler than Marvel's Point One in a lot of ways. - With less baggage, these characters can do all sorts of new and fun things. - Character reboots happen all of the time, the only reason we are noticing now is because it is happening all at once. 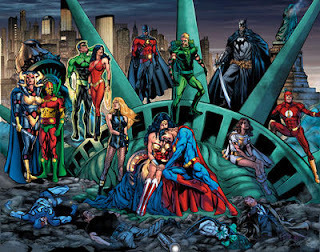 - With the new stories as canon, the older DC books will raise in value. Now's the time to cash in! - Great way to alienate current and loyal readers. - These characters can't be changed too much anyway - everyone knows their origins! - I read Batman Beyond, which is a fairly new series. Why dump something that just started? 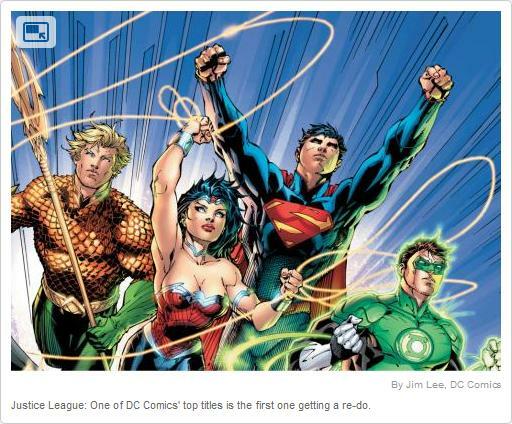 It doesn't even exist in current time DCU?! Not to mention, what is my encouragement to keep reading if it is all changing in a few months? - One of the ways comic readers start is because a current comic reader shares a book that they enjoy. With everyone starting fresh, who is going to provide guidance and encouragement? I'm sure that there are more reasons for or against the reboot, but in the end, it doesn't matter. This is happening no matter what any of us think. Only time will tell if this will be a good move by DC.